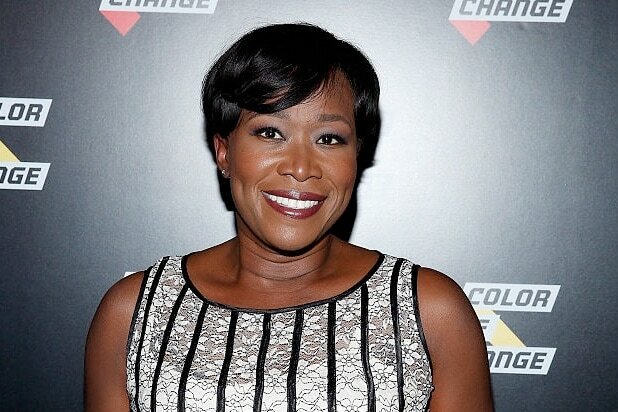 Media Matters for America will not launch any advertiser boycott against Joy Reid. 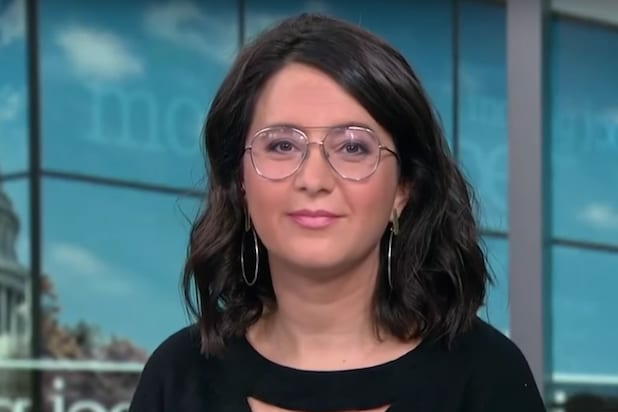 The non-profit watchdog group’s president Angelo Carusone told TheWrap on Wednesday his group will not target the MSNBC host after mounting pressure from those who have called out an old blog post of hers as being bigoted toward the LGBT community. “Further, those leading the charge on this issue are actually terrible on LGBT issues. 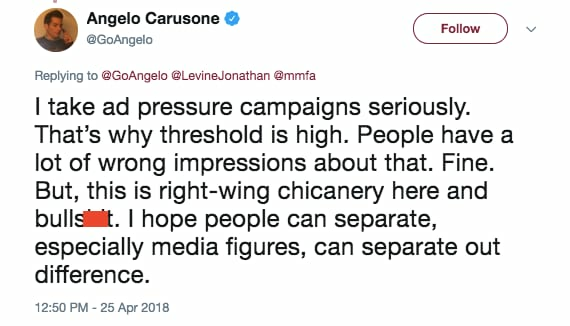 If we accept the standard they are putting forward, then by extension doesn’t that mean many of their own media figures should be punished too?” he added in a series of Twitter replies. That standard isn’t really met here. And, what we have here is right-wing chicanery and revenge not based on a pattern of behavior but on a random thing plucked from time and space. There’s no corrective action they seek here. Just revenge. Further, those leading the charge on this issue are actually terrible on lgbt issues. If we accept the standard they are putting forward, then by extension doesn’t that mean *many* of their own media figures should be punished too? Media Matters has led boycotts against prominent Fox News personalities including Bill O’Reilly and Sean Hannity. The group also provided assistance to Parkland shooting survivor David Hogg during his own campaign against Laura Ingraham’s sponsors. That effort has so far resulted in the departure of more than two dozen advertiser from the embattled Fox News host. Reid has denied writing many of the old posts and said the Internet Archive’s Wayback Machine — which documented Reid’s old blog — had been compromised. The posts were first brought to light by Mediaite reporter Caleb Ecarma, who also dug up several old tweets from Reid joking about Ann Coulter being a man.